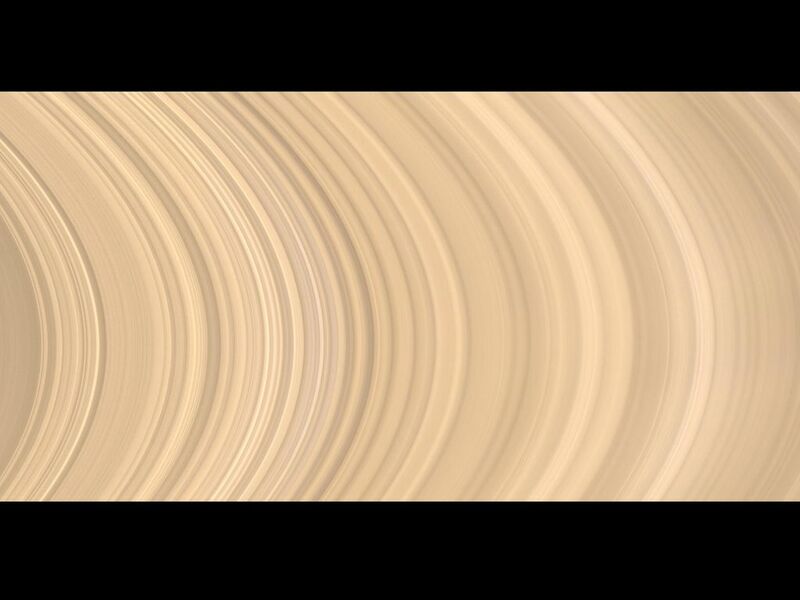 Details of Saturn's icy rings are visible in this sweeping view from Cassini of the planet's glorious ring system. This natural color mosaic, taken from 10 degrees below the illuminated side of the rings, shows, from left to right, radially outward from Saturn, the C ring (with its Colombo and Maxwell gaps); the B ring and the Cassini division beyond, with the intervening Huygens gap; the A ring (with its Encke and Keeler gaps); and, on the far right, the narrow F ring. The total span covers approximately 65,700 kilometers (40,800 miles). 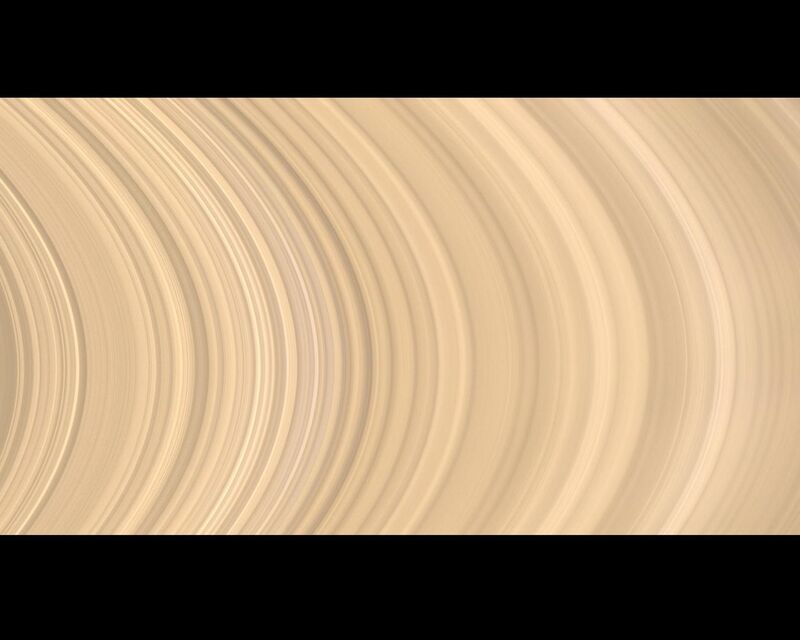 Although it is too faint to be seen here, the D ring is located just to the left of the C ring. It is interesting to compare this view with PIA08389, which shows the unilluminated side of the rings. The difference in brightness of the B ring relative to the other rings is striking. When illuminated directly by the sun, the B ring appears brighter than the adjacent A and C rings; however, when viewing the unlit side of the B ring, the A and C rings appear brighter. 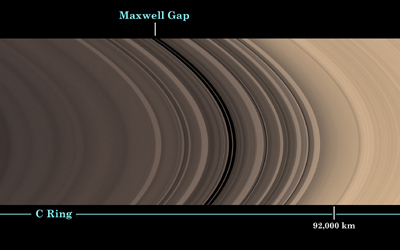 This phenomenon occurs because the density of the B ring is greater than that of the A or C rings. 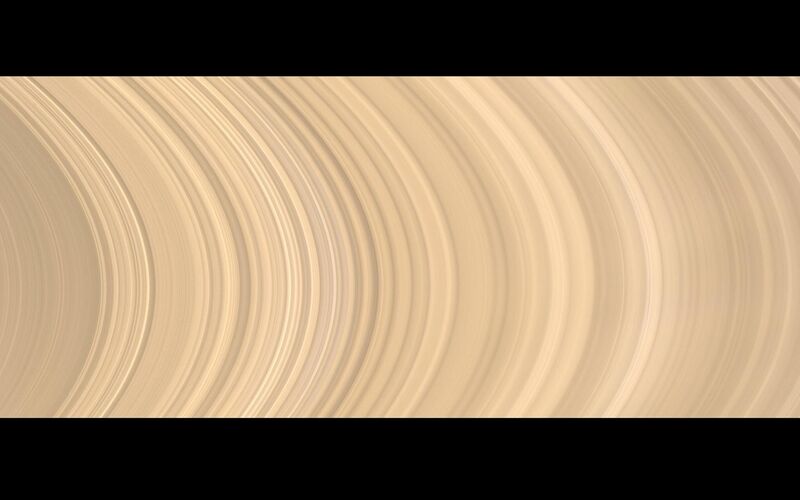 The mosaic was constructed from 45 narrow-angle-camera images—15 separate sets of red, green and blue images—taken over the course of about four hours, as Cassini scanned across the rings. The images in this view were obtained by NASA's Cassini spacecraft on Nov. 26, 2008, at a distance of approximately 1.1 million kilometers (700,000 miles) from Saturn and at a sun-Saturn-spacecraft, or phase, angle of 28 degrees. Image scale in the radial (horizontal) direction is about 7 kilometers (4.3 miles) per pixel.